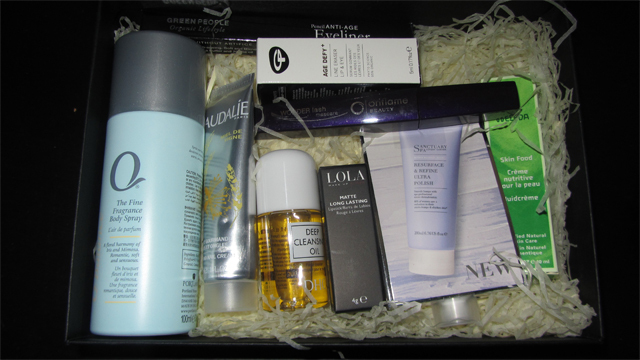 Latest in Beauty offer a great beauty box service. Rather than having to commit to a subscription, I can choose which boxes I want or make my own bespoke box. This is great for me – I can see what’s in the box before I buy it so I know that I will like something, then the rest of the contents are bonuses. Green People Anti-Age eyeliner in grey – I wanted this pencil not for the anti-age properties, but because I love a good grey eyeliner! It makes a nice alternative to black which sometimes feels too much, especially in the day. Green People is a new brand for me and all the ingredients are organic, so I’m looking forward to trying this. Lola matte long lasting lipstick in Minx 105. 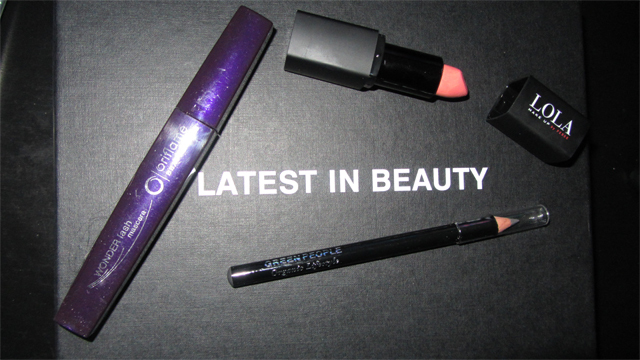 Again, this is a new brand for me and since I’ve been blogging, I’ve been trying more and more matte lipsticks. This is simply another one for me to try! Oriflame Wonderlash mascara in black. I was running out of mascara and thought I might as well try this one, again, a brand which is new to me. Did you get this box? What do you think of the make-up?